Education — Project Cornerstone, Inc.
Project Cornerstone strives to educate the public that using locally sourced minerals has environmental and economic benefits. Project Cornerstone offers in-class activities and field trips to local mining operations. Develop current, consistent and compelling educational materials. Provide in-class hands-on lessons/activities for students. Facilitate field trips for schools to local quarries and processing plants to coincide with their Natural Resources and Human Impacts on Earth Systems curriculum. The program will educate students, teachers and parents about mining through visiting a site. A Hold Harmless Agreement provided by the site operator must be signed by the student's parent/guardian prior to the field trip. The cost of our in-class activities is $150/class. Please contact crystal@project-cornerstone.org for the cost of field trips. Thanks and we look forward to hearing from you!! 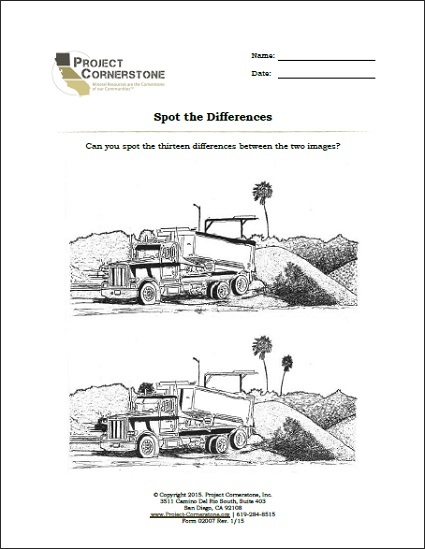 This section includes educational materials developed by Project Cornerstone may be copied and distributed in their unaltered form by parents, teachers, students, policy makers, elected officials and community members for the sole purpose of educating about the importance of construction aggregates. Click the image to view/save/print the PDF. This section includes educational resources developed by various organizations and are provided as additional information to supplement the aggregates education in the classroom. Teachers will find useful websites and videos they can use in their classrooms. 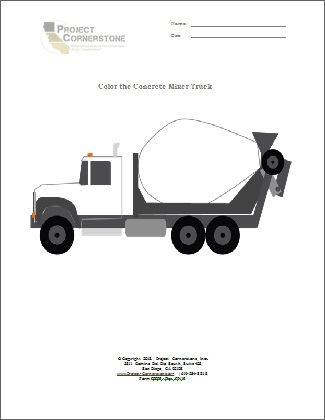 Project Cornerstone provides schools with a connection to the construction industry with a curriculum that supports Next Generation Science Standards (NGSS). The middle school program is implemented by training teachers through Project Cornerstone’s professional development workshop, where teachers learn to implement a construction industry based NGSS curriculum and gain connections with construction companies in their community. Thank you to our product sponsors who have donated materials for our hands-on activities. If your child has or will participate in a Project Cornerstone activity, please download, complete and return the Media Release Form.